I’ve been holding off of getting a gel manicure because I had acrylics for a long time when I was a teenager and it totally destroyed my nails. It took an entire year for them to grow out again cause of the damage. I have a sister In Law who’s a nurse and she’s very into makeup and interesting things. She had a gel manicure and said it did damage the nail bed. That only fueled my no gel manicure ever quest. The past few years I have been biting my nails unless they are done. But I haven’t always had the money to get them done. So my manicurist recently started recommending the gels. Saying they are not as damaging as before and they last for 2 weeks. This past Friday, I got my first gel manicure. So far it’s lasted through groceries, prepping envelops at work and chilling all weekend. It’s Tuesday… 5 days in and I have been picking at them a little but they still look pretty and shiny. One week in, I have shiny, strong nails still. I have to deep clean the kitchen tomorrow so we’ll see how this stands up for another week! One week 4 days and after a weekend of deep cleaning and scrubbing my house. My Shiny strong nails are still shiny but the tips are starting to chip off. You can see the growth now at the base of the nail. I wonder if I can make it to Friday? I am trying not to pick cause I know it will case damage to my nails. We’ll see. Never mind. I am going to have to make an appointment earlier than Friday because now that it’s starting to chip, I am picking them. 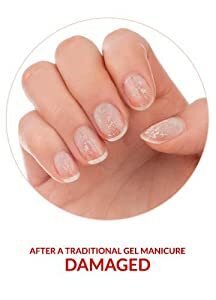 I think I am going to get another gel manicure because it really does look nice and my nails feel much stronger, Would I recommend gel manicures? Yes, for now! We’ll see how it goes after the second one. They do make your nails weaker though. I saw that after they soaked off the first one and I notice that even with the new gels, my nails feel weaker. I do not think I will do this again in two weeks. 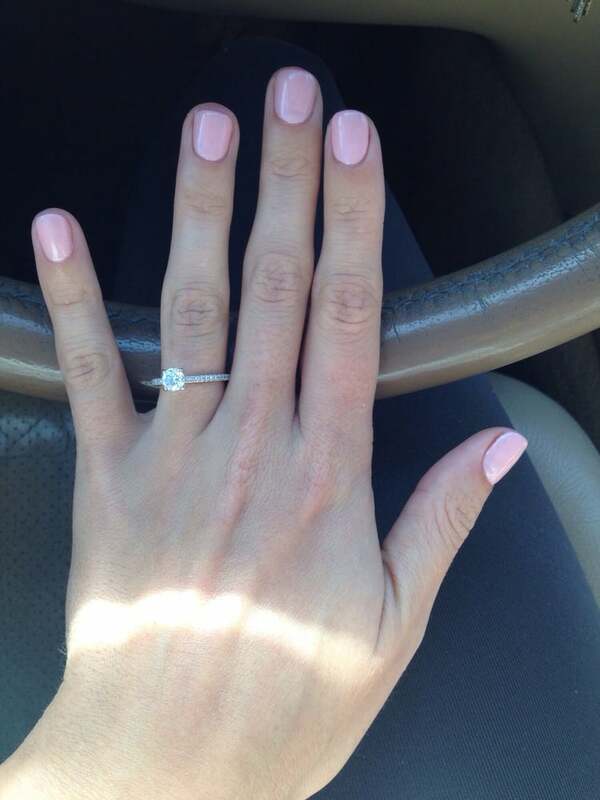 Has anyone else tried a Gel manicure? What are your thoughts? Would you recommend them?